Programs like Quiz contest are also part of learning and can be a good platform for students to update their knowledge. LA GRANDEE has always been trying to conduct activities in innovative ways. 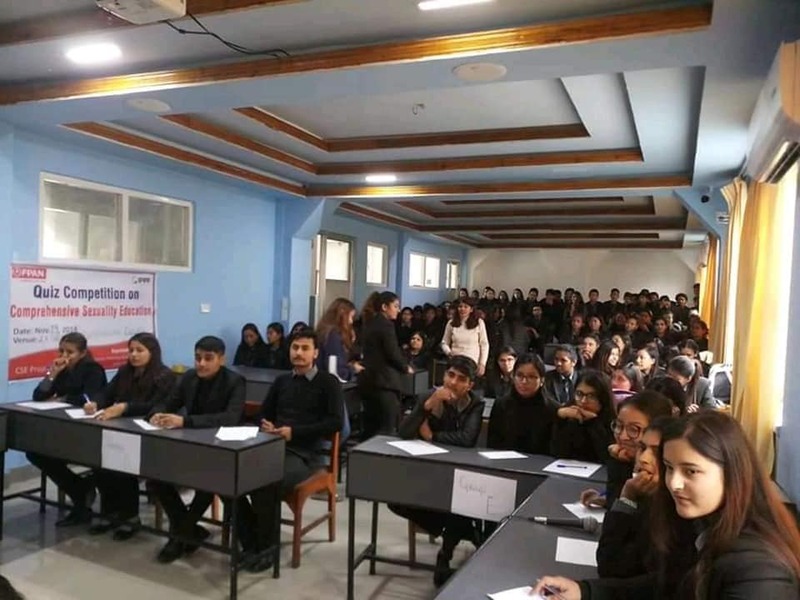 With similar perspective, a theme based quiz contest to promote awareness on Comprehensive Sexuality Education was hosted at LA GRANDEE International College on November 19, 2018 for the BPH students. The program was organized by Family Planing Association of Nepal, Kaski branch. Total 6 teams each with 4 team members participated in the competition and the program was successfully conducted in presence of many other students of the college and other distinguished guests. Team with the 1st position and 2nd position were felicitated with awards and certificates. The program was chaired by Narayani Tripathi, coordinator of the program and also one of the students of LA GRANDEE. Chief guest Ms. Rajani K.C. inaugurated the program while special guests Principal Er. Kiran K.C., Academic Dean Dr. Krishna Raj Bhandari, BPH Coordinator Mr. Keshab Raj Adhikari, BPH faculties, Bikas Poudel (BM of FPAN-Kaski), Amrit (Youth Coordinator), Navaraj Tiwari and other representatives from FPAN were present in the program. Program chariperson, chief guest and special guest delivered speech at the closing of the program. LA GRANDEE has been collaborating with FPAN for other programs like Breast cancer awareness and screening program as well in previous days.